Xoriant Payment Gateway is a technology framework which combines data structures, work flows and process management modules for managing payments for financial transactions or foreign exchange transactions. From our years of experience in the payment industry and banking marketplace, Xoriant’s technical and functional experts have come up with functionality and architecture and framework, which is called Xoriant Payment Gateway, which can be customized and implemented for any commercial bank or company which performs payment transactions, be it foreign exchange or e-commerce or clearing houses. 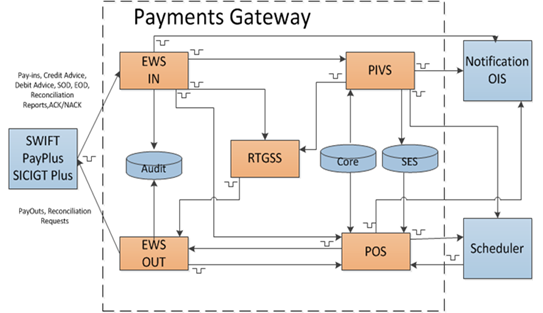 The Payment Gateway system is developed to provide an effective and efficient tool for the payment portion of commercial or forex settlement and Risk Management that will grow and expand with the needs of the business. In the conventional settlement of a commercial or foreign exchange transaction, the exchange of the two currencies involved in the trade is not normally synchronous. For one party to the trade there is therefore a risk that it will transfer the currency it has sold without receiving from the counterparty the currency it has bought (settlement risk). Even if a bank’s risk position vis-à-vis a counterparty is short-term, it may be many times greater than its capital. The Xoriant Payment Gateway helps in executing the payments using ACH (Automatic clearing house) in US or SEPA (Single area payment area) in Europe. Xoriant’s Payment Gateway is developed using Java and related technologies. Technology stack used by the framework is as below. Core Java – used as a basic programming language. Spring – MVC framework used as a container to run the application making use of dependency injection, transaction management and security. Hibernate – used as an ORM this makes the application database agnostic. WIFE java library – open source third party java library used for parsing the SWIFT messages. Database – used for persisting messages. Use of hibernate allows multiple choices of database providers to be integrated with the product.